I’ve been a little bit rug obsessed lately. We recently installed 900 s.f. of wood floors in our main living area, and I have been hunting for the perfect rug to soften up our family room space. I wasn’t sure exactly what I was looking for, so I found myself browsing around on the Kalaty Rugs website, and after a few minutes I was daydreaming about making over my entire family room! My eye was immediately drawn to the modern southwestern rug on the bottom left, so in a flurry of inspiration, I took a few minutes to create a vision board for my new family room (all centered around that gorgeous hand made rug, of course!). I’m calling this “Modern Southwestern,” where southwestern meets mid-century modern and industrial design, and I’m totally diggin’ it. Chic and sleek infused with lots of texture and personality – just the way I like it! 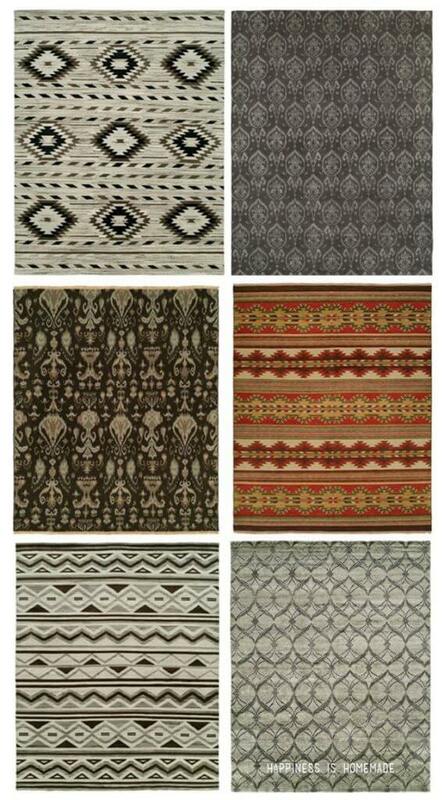 I was really impressed with the large selection of neutral colored rugs at Kalaty Rugs. 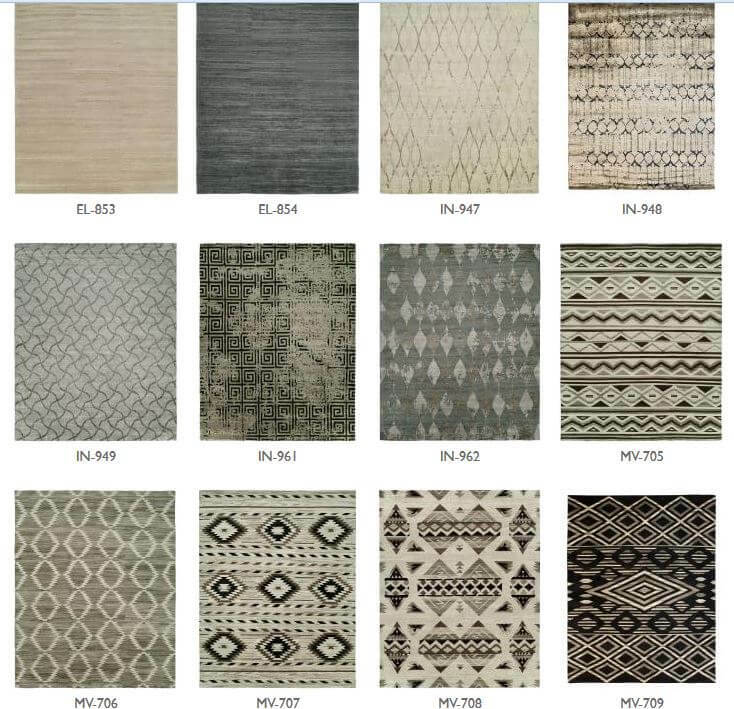 Each one of these rugs has a totally unique look and vibe, yet they all complement almost any decorating style or color palette. 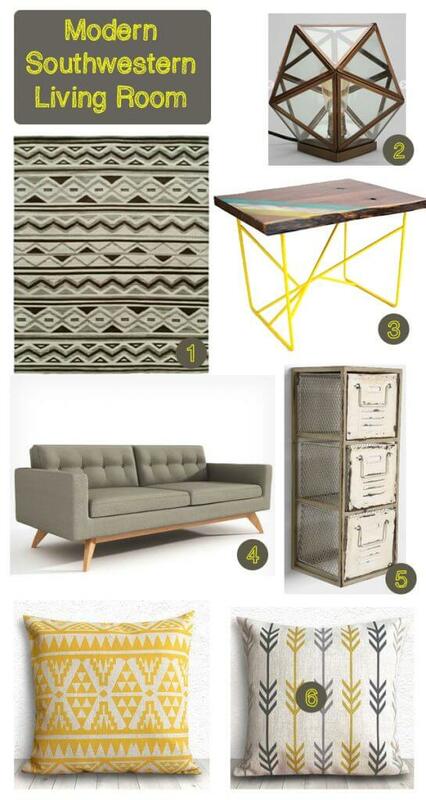 I love adding pops of bright color to my home, but I’ve learned the hard way (hellooo, green couches!) that because I frequently change our decor, sticking to neutral colors for my larger pieces (rugs and couches) work best for me. I’ve also got a big crush on MV-708 up there in the bottom row! If you’re daydreaming about owning a new rug, too, here’s your chance to win! Visit Kalaty.com, and enter your email to receive a mail-in rebate form – even if you don’t win the giveaway, you can still use the rebate to get a discount on a new Kalaty Rug! Be sure to follow Kalaty’s Facebook page, Kalaty’s Pinterest and Kalaty’s Twitter for the latest news and product information.